Photo is a composite of vintage B&W photo courtesy of the city of St. Petersburg and a current image (5 image panorama). 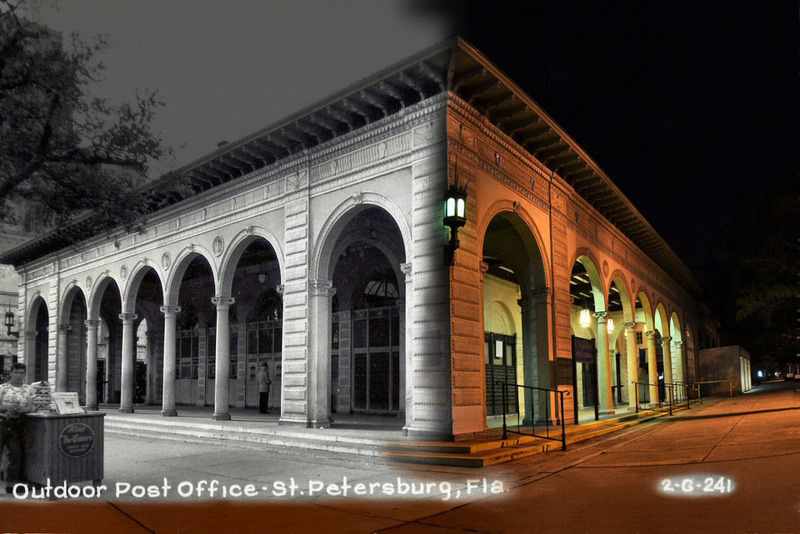 St. Pete’s Open Air Post Office has been in continuous operation since its opening in 1917. You can view more of Ron’s photography on his Flickr page.